EAA Chapter 1361, Inc is a Nevada Non-Profit Corporation with IRS 501(c)(3) status as a public charity, established in 2002 and located at the Reno-Stead Airport (KRTS) in Reno, NV. Chapter 1361 meets at 9AM on the first Saturday of each month in the Reno-Stead Airport Freedom Terminal (4895 Texas Avenue, Reno, NV), Room 207. 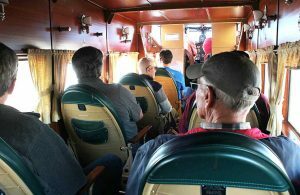 In 2002 a group of aviation enthusiasts at the Reno-Stead Airport decided that is was about time that the area’s premier general aviation airport had its own EAA chapter. The effort was led by Fred Johnson who then became President of the Chapter. 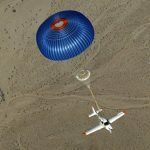 Initial help was received from what was then the Reno Air Racing Foundation, the educational arm of the Reno Air Racing Association who put on the National Championship Air Races at the Reno-Stead Airport each year. The Charter Members of the chapter were Fred, Doug Martin, Dave Wilburn, Ben Bruce, “Mo” Bessier, Ralph Aalletta, Ken Willrich, Greg Howe, R.C. Hinton, John Parker, Bill Barrett and Bruce Meinking. 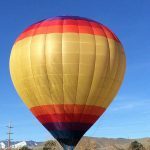 The Chapter was incorporated with the State of Nevada as EAA Chapter 1361, Inc. on September 10, 2002 and received their charter as an official EAA Chapter on the same date. Chapter 1361 held regular meetings and held Chapter events for several years, then entered a period of relative inactivity as original members moved from the area or became inactive in aviation due to age or illness. Through the period of inactivity a stalwart group of individuals kept the Corporation and Chapter Charter active and sought additional members to invigorate the Chapter. Those of us in the Chapter hold a debt of gratitude to Mike Burris, Sandy Munns, Bill Barrett, Rich Buddetti, Greg Howe, Alex Filatov and Fred Twigge for keeping the Chapter alive. By January of 2016 the membership roster and Chapter enthusiasm had grown to the point that the Chapter could emerge from its public inactivity and both promote its activities and recruit new members. The Chapter received tax exempt status with the IRS in September of 2016, retroactive to May 15, 2010. In October 2016 Chapter 1361 held it’s first IMC Club meeting with 15 participants. The monthly discussions have continued to draw new participants and generate lively discussions of the instrument scenario presentations. 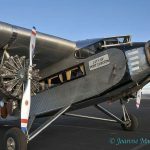 In November 2016 the Chapter hosted a very successful EAA Ford Trimotor Tour stop at the Reno-Stead Airport and followed that with and even more successful tour stop of EAA’s Boeing B-17G “Aluminum Overcast” in March 2017. EAA Chapter 1361 continues to be one of the most active aviation groups at the Reno-Stead Airport, promoting youth STEM education and all forms of recreational aviation.